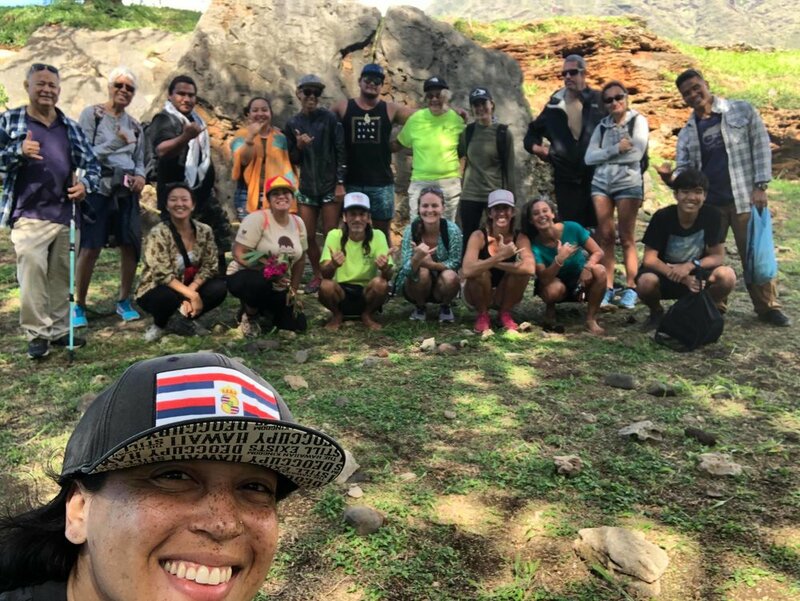 After visiting the ahu and getting an absolutely awesome performance by Punahele at the kiʻi pohaku, we made our way up to the heiau at “site 4546.” After several in our group made their hoʻokupu (a practice that had to be requested permission for in advance), the last was a picture of Hawaiian Kingdom patriot William Pūnohu White. 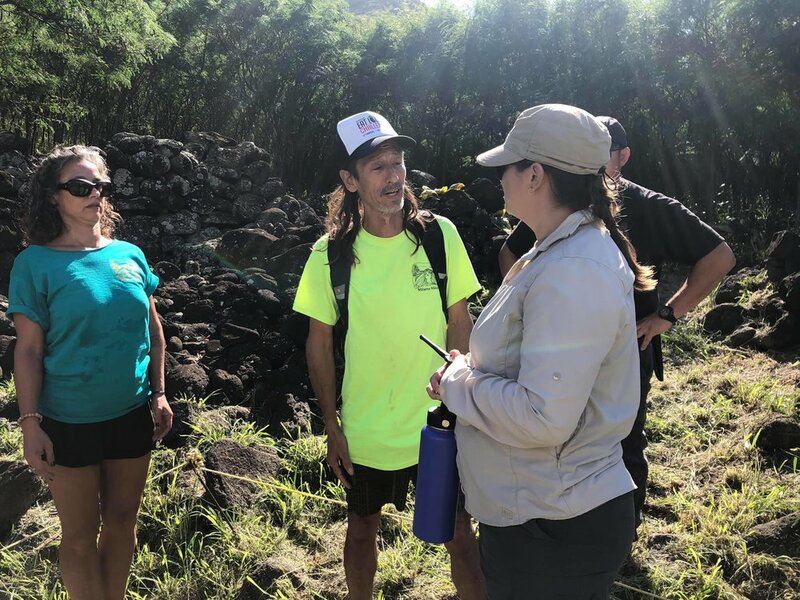 We talked briefly about his legacy and the connection between Hawaiian national identity and these land struggles to protect and reclaim ʻāina. 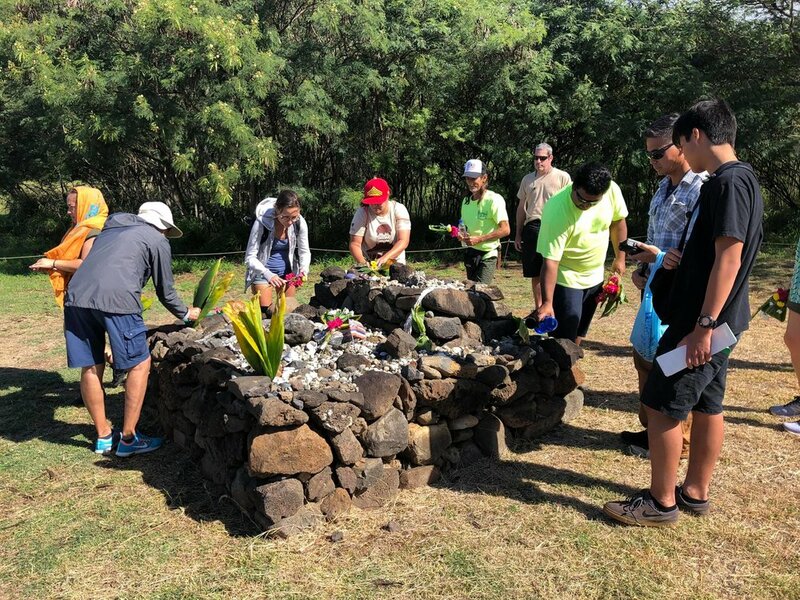 And after we placed him there, the archaeologist claimed she must remove it because her supervisors told her only “plant based, biodegradable” materials were considered ho’okupu. Nevermind it actually is biodegradable paper. There is no definition of ho’okupu in the cultural access agreement, but the archaeologist still felt her superiors’ personal interpretation of what it is should override ours until it’s worked out by the lawyers. The result was a stand-off. 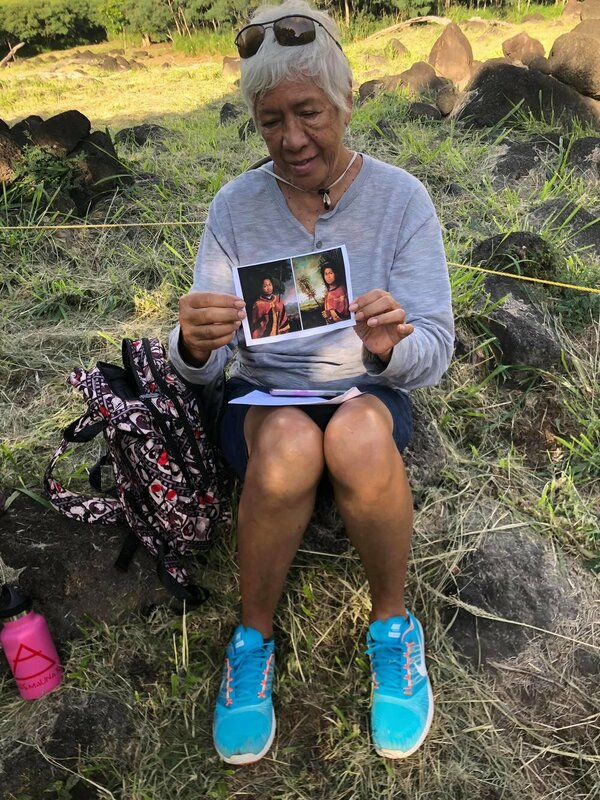 On one side this archaeologist promising to remove William Pūnohu White because that’s her orders, and on the other side Vince Dodge promising she most certainly will not because that’s Mākua Valley’s orders. Without hesitation she called for the police [military and HPD] and half of us ended up having a kind of sit-in for 2 hours waiting to probably get arrested. Sparky Rodrigues was not having it, and promised they would carry him out in a paddy wagon before he’d leave over this petty power play. So we sat there listening to Punahele’s “Ho’omau Ke Ola” (“it’s a celebration!”) until eventually they realized they couldn’t keep us past sundown without further violating the cultural access agreement, putting us in danger, and giving themselves more work, so they agreed to let William stay “for now” without arresting us. 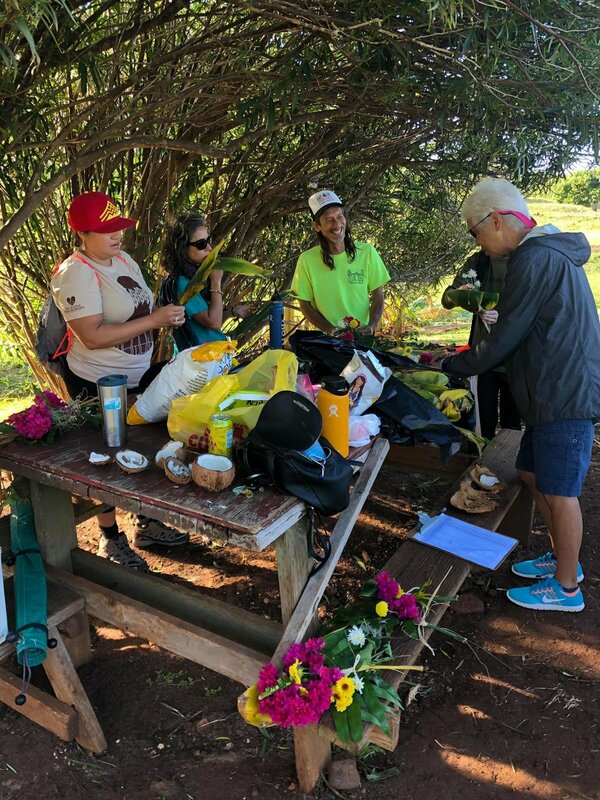 I have no doubt that what seemed like a random chance thing that William Pūnohu White was found in a bag at our last stop, was planned from those kūpuna we are constantly calling from the other side to help us do what needs doing. He wanted to be found. He meant to literally intercede and reclaim space for us there from the other side of the veil while we push these guys on our side. 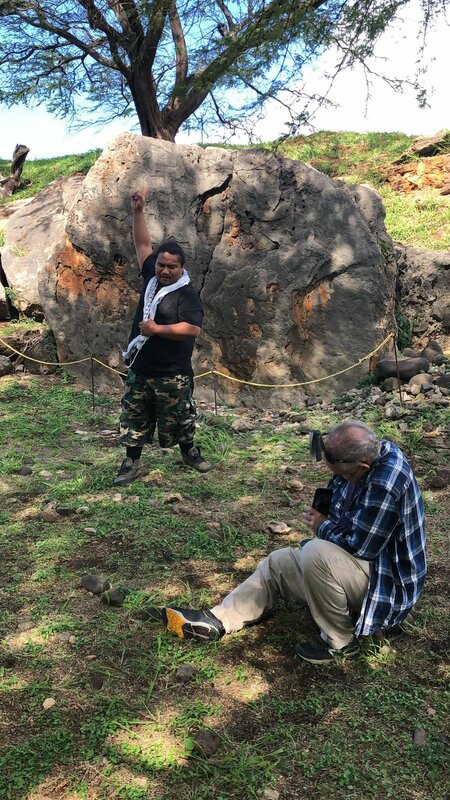 He represented the highest principled action as a person, as an Honorary President of Hui Hawai’i Aloha ‘Āina, as someone who knew what aloha ‘āina is about — and what occupation is about. He came to stand with us. That tells me this is our time already. Because in the end it pretty much all felt good.